Nawazuddin Siddiqui:- You are perceived a good actor. HomeNawazuddin SiddiquiNawazuddin Siddiqui:- You are perceived a good actor. 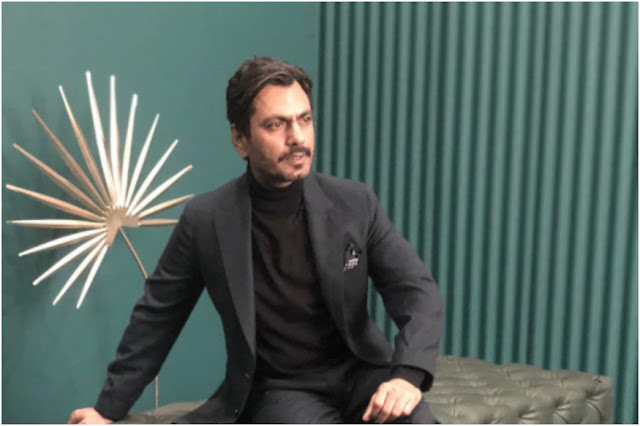 Nawazuddin Siddiqui is thrilled Thackeray emerged a hit at a time when a strong perception rules the trade that an actor is considered a heavy-weight performer only when the film crosses the Rs 100 crore mark. I don't care about the box office. If I did, I would have done song and dance films throughout my career, the ones which go on to become hits. But today it is being perceived that you're a good actor only if you give a 100 crore hit," Nawazuddin told PTI in an interview. Since it's perceived you're an actor only when you give hit films, I feel I should start doing films where there's comedy with a 'tadka' of content. I can do the films I believe in and also this kind of cinema once in a while," he added. The actor said the performance of his films at the box office have never clouded his choice of future projects, which is why he is elated when a film like Thackeray becomes a hit.